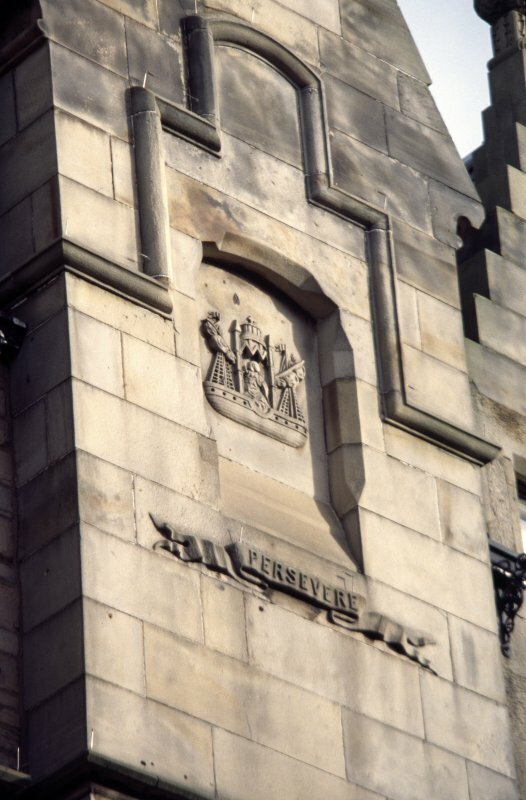 View of carved coat of arms of Leith, on chimney breast at No.58 Bernard Street. View of 'The Clock', a metalwork screen on lower part of window on Bernard Street. 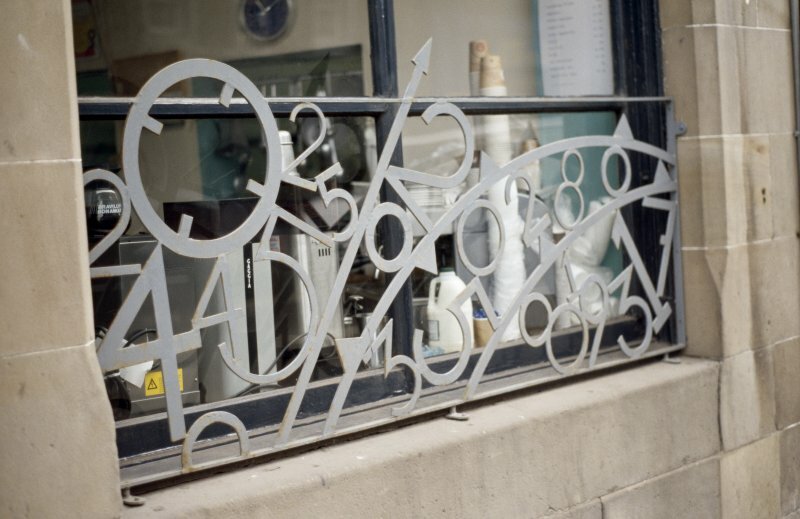 Open-work metal screen in front of lower part of shop window on Bernard Street, is constructed of random numbers at various angles, forming a composition around an empty clock face on the left and a diagonal clock hand in the centre. (The screen is functional, showing expensive coffee-making equipment inside the window). All parts refer to, or play on the theme of 'The Clock' which is the name of the shop. Carved relief in recess, of the Virgin and child enthroned in the centre of a sailing ship. There is a separate horizontal inscription ribbon below, carved on the wall. James Anderson Hamilton was the architect for Nos. 50-58 Bernard Street.